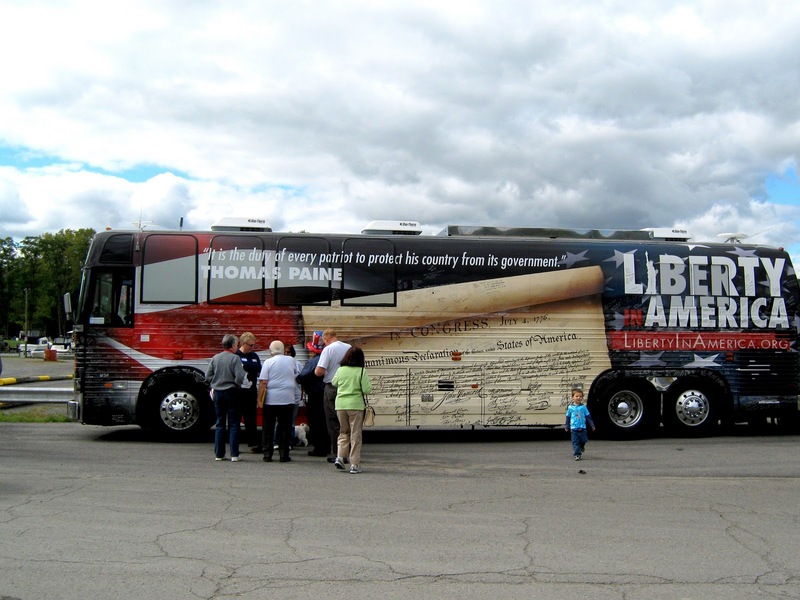 This weekend was one of immense elation and joy. 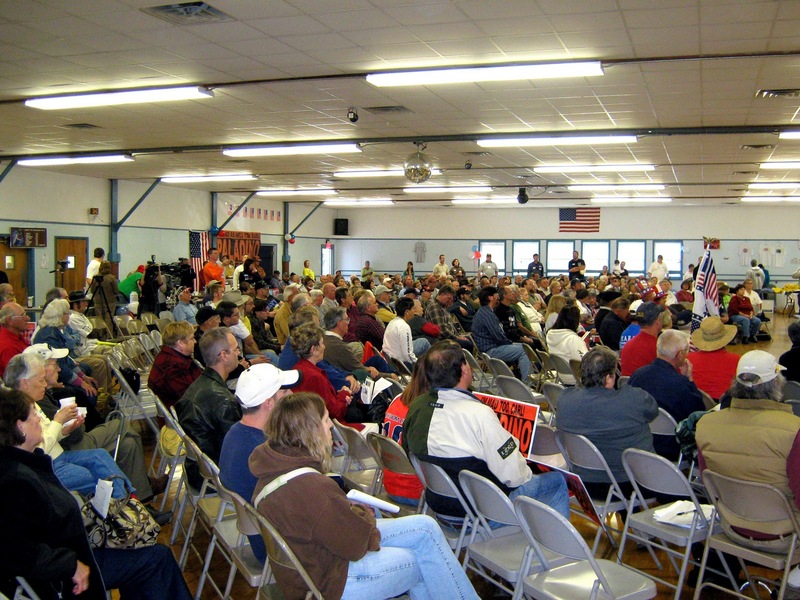 The first annual "Patriot Rally In The Glen" Took place in Watkins Glen at the Watkins Glen Community Center at Clute Memorial Park. 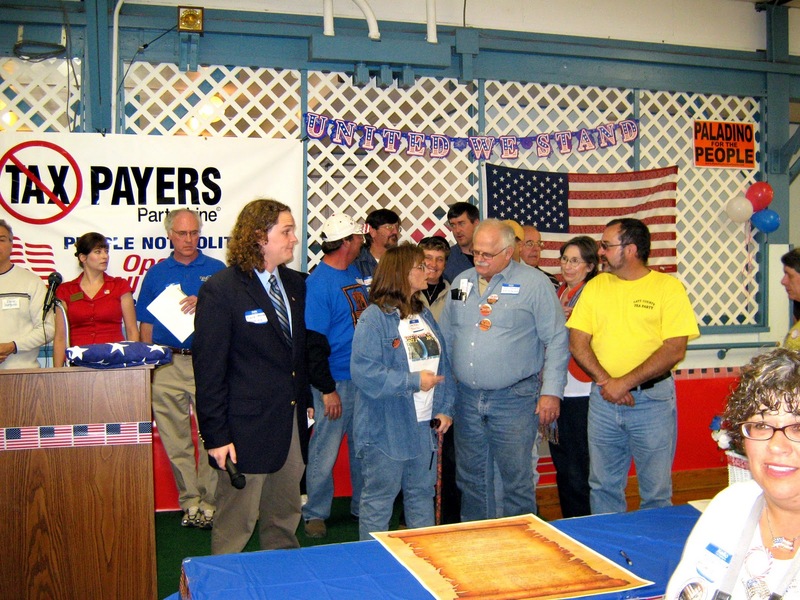 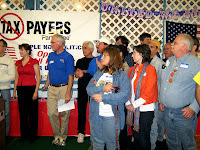 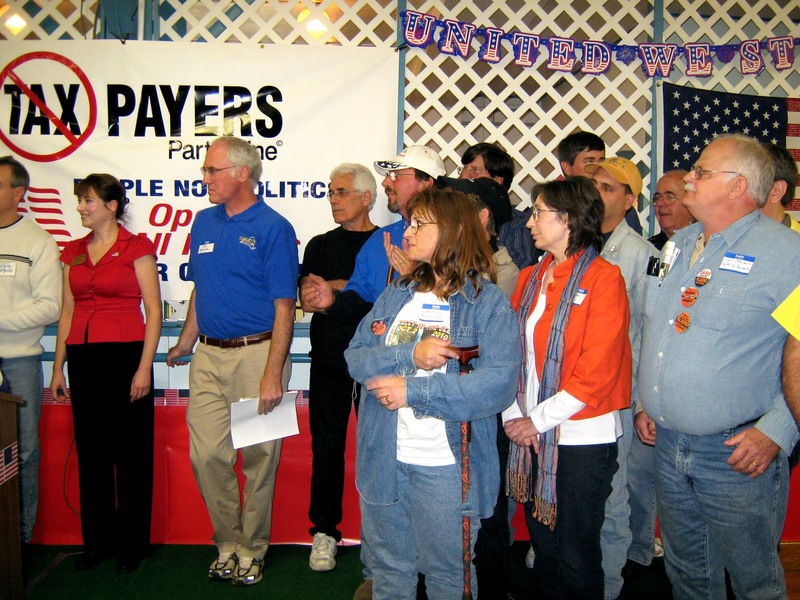 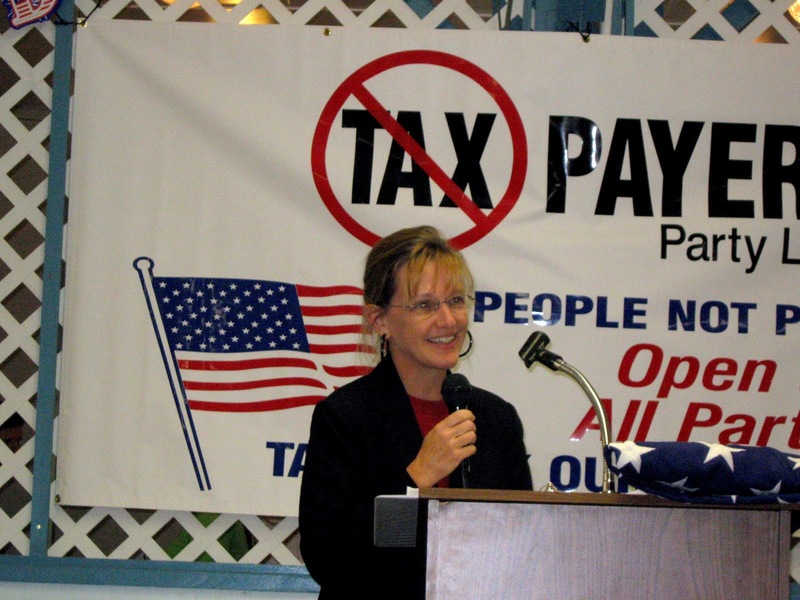 The event hosted by the Odessa Tea Party with the help of other Tea Party leaders throughout the state was a day of networking, morale building, community, friendship, and fun. 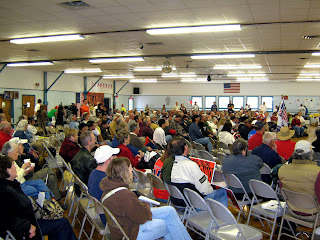 Guest speakers gave us a thought provoking day, while tables of both candidates and Tea Party groups lined the outermost portion of the community center. 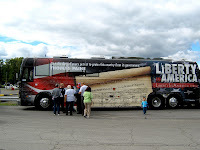 There were t-shirts, bumper stickers, books, constitutions, and other material available from Tea Party groups from around New York State. 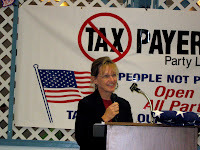 Around 450 people attended the event in the Glen, and the day was filled with great speakers, and capped off nicely with an appearance by gubernatorial candidate Carl Paladino, who is a favorite of the Tea Party and founder of the New York Taxpayers Party Line. 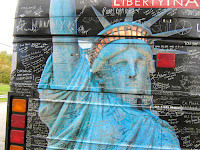 Beth Powers, the owner of the "Liberty Bus" spoke to the crowd next and encouraged them to sign the Liberty Bus. 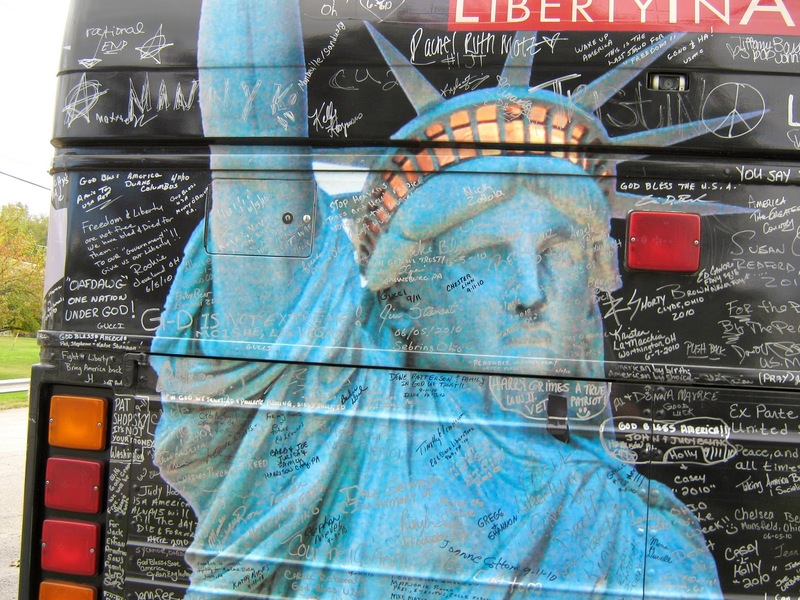 Outside in the parking lot, the large highly decorated bus was covered in thousands of signatures, and a beautiful graphic of the Statue of Liberty adorning the rear of the vehicle. 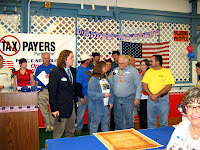 After Powers was done there was a short break to allow people to converse with the speakers, maybe get some lunch, or just mingle.